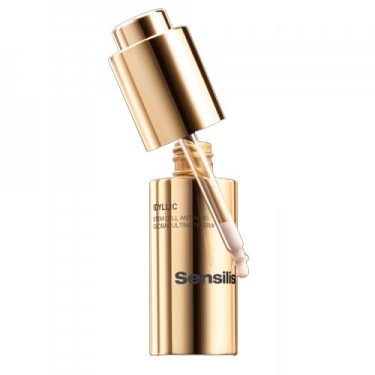 DESCRIPTION: Idyllic Global Ultimate Serum from Sensilis is an ultra-intensive concentrated light serum that intensely repairs all signs of aging of your skin and intensifies the action of the applied cream below. 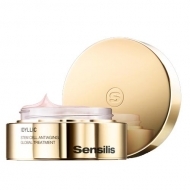 Its unique formula with the Stem Cell Complex increases the longevity of epidermal stem cells. A careful selection of exotic flowers based on Lotus Flower, Nile Lily and Pink Lotus and Diamond Powder, Amethyst and Sapphire combined with the Vitamin C-based Radiance Complex, complete their powerful anti-aging action. Remove the eyedropper from the bottle and pour a few drops on the fingers by pressing the top button again to empty the product cannula.